Jet Airways share price has been gaining for the last two days and has risen 6.93% during the period. Jet Airways share price touched an intraday low of Rs 220.25, down 2.48% on BSE. Jet Airways share price rose in trade today amid reports that chairman Naresh Goyal and his wife Anita Goyal were expected to leave the board of the ailing airline today. Jet Airways stock price rose to 235.20 level, a gain of 4.23% compared to the previous close of 225 on BSE. Jet Airways share price has fallen 62.42% over last one year lost 16% since beginning of this year. Jet Airways has been facing financial distress for long due to grounding of over 40 of its aircraft till now leading to cancellation of its flights. On February 14, Jet Airways' board had approved a Bank-Led Provisional Resolution Plan (BLPRP), whereby lenders would become the largest shareholders in the airline. Its shareholders also approved conversion of loan into shares and other proposals during the extraordinary general meeting on February 21. The BLRP by lenders estimated a funding gap of Rs 8,500 crore (including proposed repayment of aircraft debt of Rs 1,700 crore) to be met by appropriate mix of equity infusion, debt restructuring, sale and lease back of aircraft, among other things. Shareholders of Jet Airways had approved conversion of loan into shares and other proposals during the extraordinary general meeting (EGM) on February 21. As on September 30, 2018, Jet Airways had gross debt of Rs 8,411 crore (including terms loans from banks and dues to lessors for aircraft lease), as against Rs 8,403 crore as on March 31, 2018. The company has large repayments of Rs 1,700 crore due over December 2018 to March 2019, Rs 2,444.5 crore in FY2020 and Rs 2,167.9 crore in FY2021. 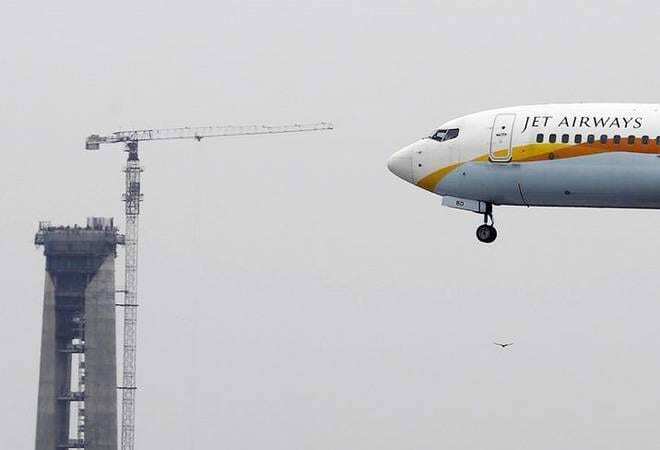 Jet defaulted in servicing its loan obligations on December 31 2018 and the 90-day window before its loans are dubbed non-performing assets (NPA) ends on 31 March 2019. The company is reeling under losses for the last four consecutive quarters with its shares losing over 60% in one year.